I knew little about this Renoir painting. Well, to be honest, I knew little about Renoir or fine arts… I guess whatever I learned in school had been forgotten. However, the story is nicely written to draw me in, and I enjoyed feeling that I was there to witness the birth of a masterpiece, from its conception to difficult pregnancy to birth. 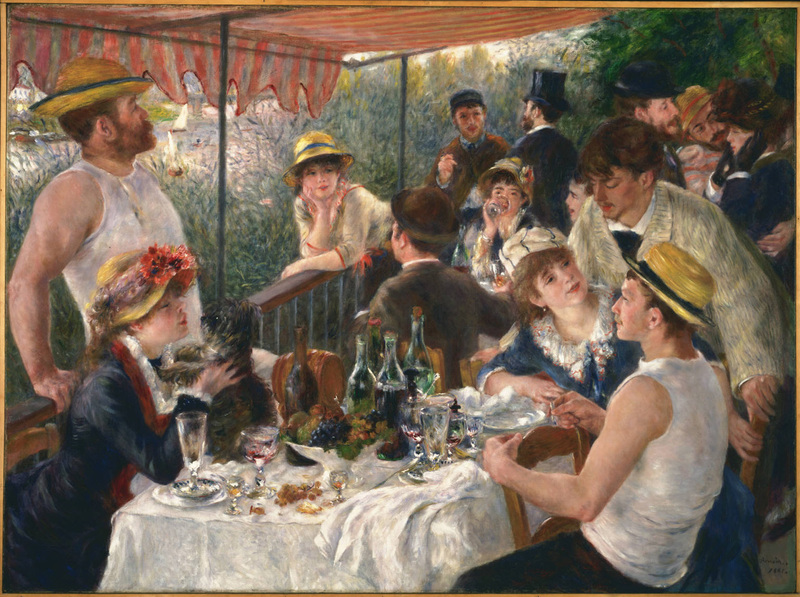 This is a fictionalized account of August Pierre Renoir’s creation of one of his most famous works depicting a gathering of his friends enjoying a summer Sunday on a café terrace along the Seine. I don’t believe I have read a book where I flipped the book to see the cover as much as this one. In the beginning I kept wondering which character is who in the painting, and towards the end, they are seem so real to me I can imagine them move from their poses, stretch, and continue on with their lives. As I write this now, I am looking at the cover, and each character comes alive to me again. The book also gives me a better understanding of impressionism. The challenges Renoir face while painting provides a suspense to the plot, almost like a mystery that makes me eager to see how it gets resolved in the end. The story also piques my interest in other works mentioned. Kind of wish it includes an appendix showing all the paintings referred. I really enjoy the creativity of this type of historical fiction, spinning a story from a painting. Now Renoir’s painting is going to hold a special place in my heart!